It was a bit of a lighting conundrum that day. Of course I wanted the ocean in the background but the sun was coming from right and behind my subject. 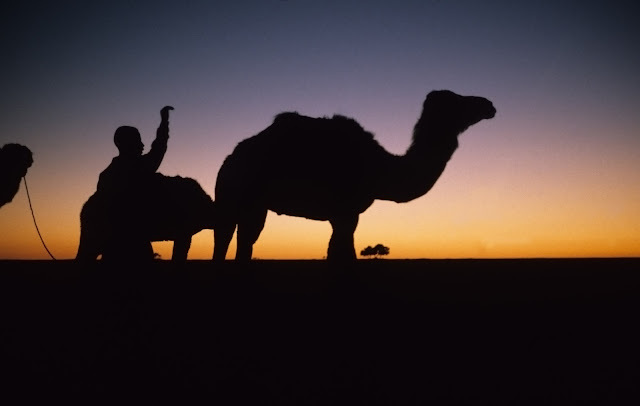 An exposure favouring a face in shadow would over expose the beautiful background. I could not face him a little more into the sun and shoot down along the beach because there would have been a messy film crew in my shot. This was also a spontaneous opportunity and I did not have a bounce card or flash handy. But....... I realized I had brought a white sweatshirt. 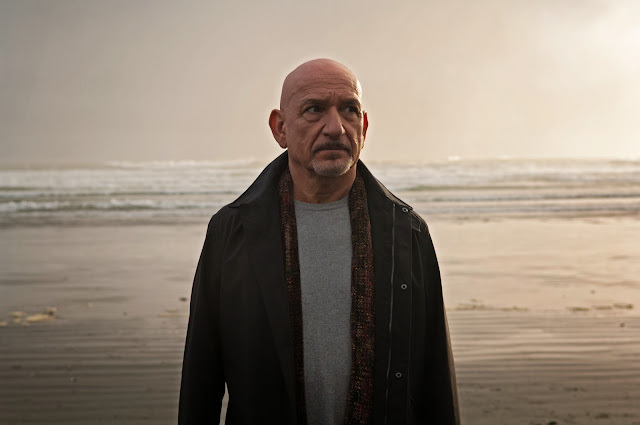 I threw it on quickly and placed myself in the sun as much as possible to bounce some light in Ben Kingsley's face. I used Photoshop to bring out more details in the background and Voila!